Nutramino Lean Protein Shake is the tastiest lean shake in the World. It contains 25g of protein, helping support muscle repair. Each shake is made from the highest quality milk protein with the added benefit of a low sugar content and no fat. This shake is perfect for the calorie conscious taken before or after exercise. Simply twist the lid and enjoy the taste. Each drink is 330ml. 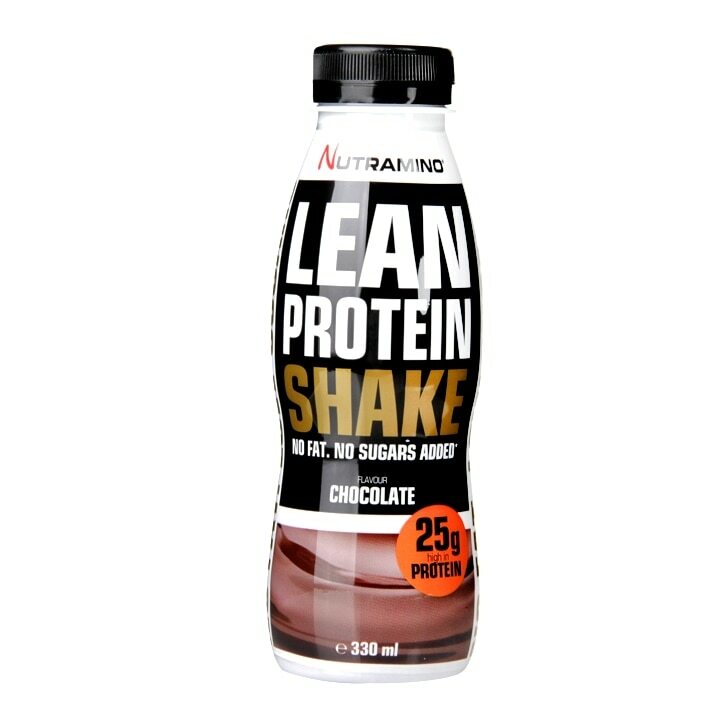 Nutramino Lean Protein Shake Chocolate is rated 5.0 out of 5 by 2. Rated 5 out of 5 by Stav16 from Excellent and easy protein provider I'm 68 and muscle bulk is very important for me, so along with the gym I've started using this protein shake. 25 g of protein in one go, easy to drink, nice taste, I even carry it to the gym with me for post-workout consumption. Also easily digested. Excellent! I've already recommended it to a friend whose hectic work makes it difficult to ensure the daily necessary protein intake.